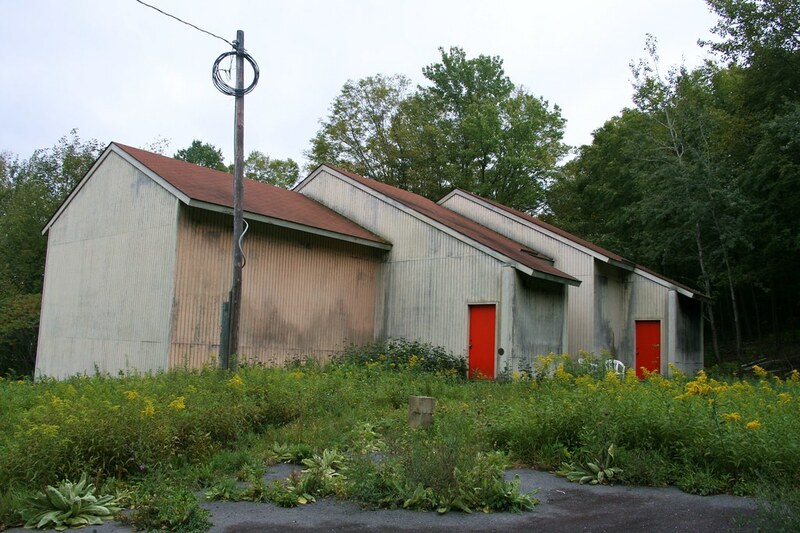 You know you're in the Catskills when you find abandoned incomplete home building projects. It was popular for resorts to try and build homes and get "members" to the resort to keep up cash flow. It actually worked out quite well at the Villa Roma and the Friar Tuck Inn, but other resorts didn't fare well, as you can see from this dilapidated home-turned-storage building.